When an MMO in early access or beta totally reworks a major part of the game, it’s just considered part of the process of developing a living game and responding to player feedback. When a game that’s been launched for five years does it … well, it’s still part of the process of developing a living game and responding to player feedback. See, there’s really no difference between early access and launch! That observation aside, Perfect World Entertainment and Cryptic Studios are putting Neverwinter‘s crafting system under the knife, promising a “ground-up redesign of the entire professions system.” The broad details are given in a dev blog, which says that there will be new recipes, 200 unique artisans you can hire, and a time-based system for instructing those artisans to complete those recipes. You can place orders for your artisans from your workshop and they’ll complete them after a certain amount of time has passed. You’ll have a few “instant craft” commands you can use every day, and you can obtain more by spending Astral Diamonds. 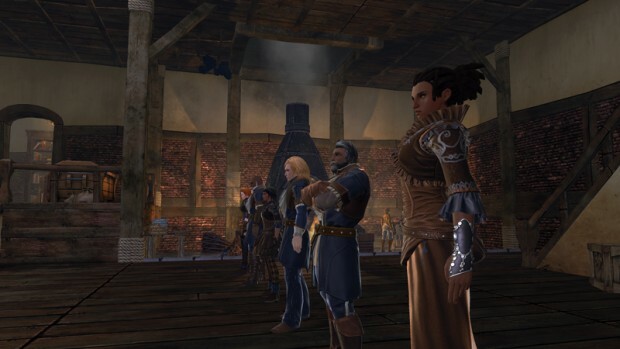 If you want to take a more active role in determining how the new professions system is designed, you can give the Neverwinter dev team your feedback, and see what kind of Q’s are asked and A’s are given in this forum post. It’s februari 2019 now, and the new crafting system doesn’t seem finished yet. The player can spend 500 Zen for a new artisan who can still be of common quality. And even if you get a rare or epic artisan, they don’t necessarily have higher stats. This doesn’t even make sense. For 5 bucks I’d expect at least getting an epic artisan that damn well has higher stats! It’s based in D & D, and yes people didn’t complain about it. But at the same time making it more viable, helps the game in the long run. Final fantasy 14s original crafting system was terrible, so were other parts also. But they reworked the whole game because of that. It’s an OK game, they just shouldn’t call it a D&D game, because it’s not.